← Happy 15,000 Hits to TwT! Yes Allison, Lisa and Robo, the Mystery Snapshot was from Istanbul, Turkey — one of my favorite cities in the world. The truth is, I am Turkish. Well, it’s hard to say exactly how much. I am Sephardic. My mom’s ancestors were Spanish Jews who spoke Ladino (this includes my mom’s parents, and she remembers many old sayings in Ladino from her childhood) and were exiled from Spain during the Inquisition. After leaving Spain, they ended up in Macedonia and Turkey. For almost 500 years they lived in a Spanish-speaking Jewish community in Turkey. Half my grandfather’s (abuelo’s) siblings were born in Turkey and half were born in Argentina. My grandmother (abuela) was born in Argentina, but was first generation. My mom was then born in Argentina, and ended up falling in love in the Big Apple. So, when we say that we are half-Argentine, the truth is we are really Spanish by blood, with some Turkish mixed in, and then technically Argentine. And then there’s my dad’s family — his father was born in Russia and spoke Yiddish, and his mother was first generation American, with a family from the capital of current Lithuania, which was – at the time – ruled by Poland. You tell me what I am. Tram crashes into car. 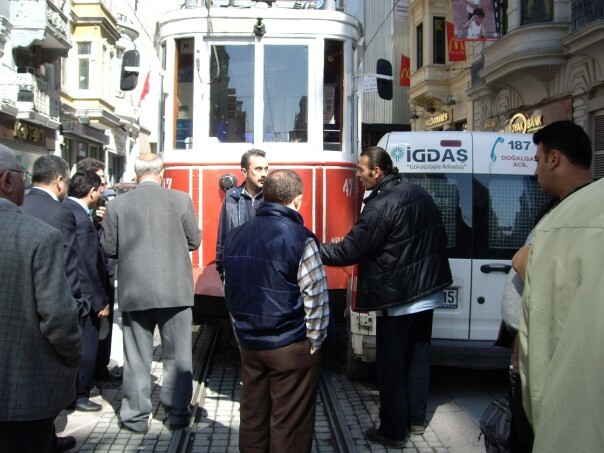 Street life in Beyoglu. Istanbul, Turkey. 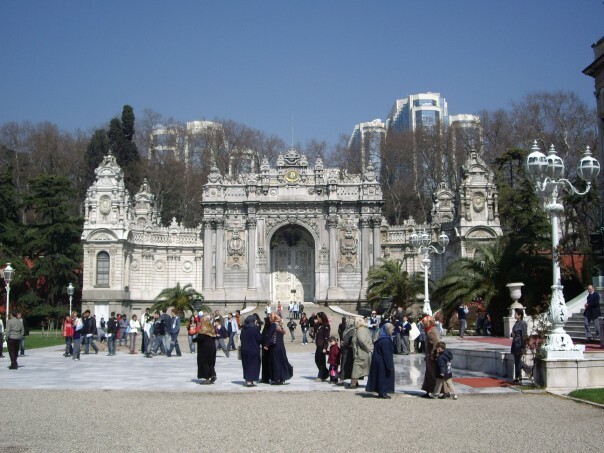 Side entrance to Dolmabahce Palace. Istanbul, Turkey. 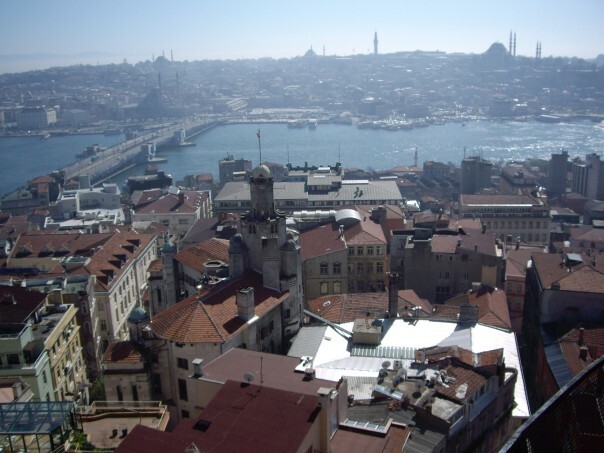 View with Mosques from Galata Tower. Istanbul, Turkey. If you’ve ever been to Istanbul, feel free to chime in. Basically, I found it to be incredibly cool and surprisingly edgy. The food was absolutely incredible (ummm, hello baklava every meal) and the salesmen were oddly sassy (“Hello, pretty lady. Come look at my rugs. They are very expensive!”). I was asked for directions in Turkish a couple of times, and found myself barefoot with a scarf wrapped around my head more often than I expected. The blending of old ruins and modern infrastructure make it one of those wonderful time-warp cities like Rome, where you feel constantly like you’re about to trip over an archaeologist’s dream-find yet sufficiently taken care of by modern amenities. Every time I remember my trip to Istanbul four years ago, I wonder how and when I will go back. There is SO much to see in Turkey that one trip, unless it’s very long, will only scratch the surface. And wow, so much has happened in life since then. At the same time, some things haven’t changed… I would rather not admit those. 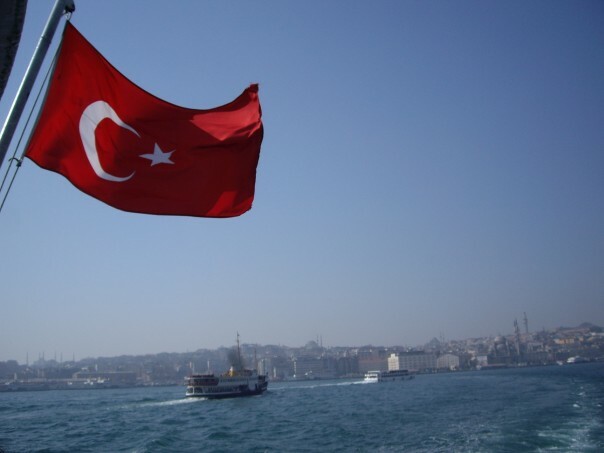 As I keep alluding, my days of constant trips have been delayed and, at least for a little while, I will only be able to visit Turkey through my own memories, along with a few scattered Facebook albums and blog postings. But hey, I’ll take what I can get. Especially when “what I can get” includes some pretty delicious baklava right here in my hometown, Manhattan. I went to Istanbul four years ago and want to go back this year. My memories are fading and I have no photographs but I know that it is a magical city. Thank you for sharing, Natalie! In theory I’m very WASPy ( Scottish and English), but really the Scottish might originally be Norwegian viking . And English means some combination of Celts (who came to England first) and then the Anglo-Saxons (who came by way of current day Netherlands/Germany) and probably some French from post 1066. Always a lot more to this stuff than meets the eye! These pictures take me back. I loved the city and the sites. The sleazy salesmen, not so much.